Lou Hei 2013! Huat Ah! Yesterday was the last day of the Chinese New Year. We haven’t had the chance to Lou hei for good luck at all. 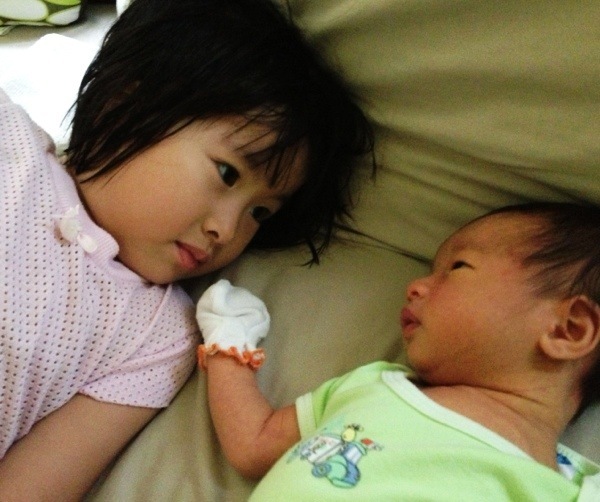 We were too swamped with the birth of 小小宝贝, the everyday excursions to the polyclinic and hospital, the bouts of illness during that short period, and adjusting to a huge change of routine brought about by him. We finally Lou Hei-ed yesterday evening!! It’s 宝贝’s first participative Lou hei. She was too “blur” the last 2 years to comprehend what it’s all about. 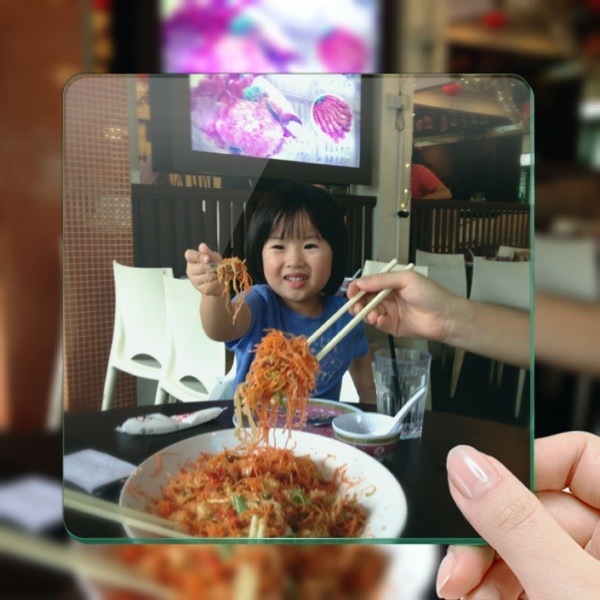 Check out the young enthusiastic Lou Hei-er! Anyway this post is not about it. I’m deviating from what I want to write. Eh!! Why you all have that “what’s new” looks on your faces?! On my way back to the multistorey carpark, a trail of vomit started appearing. The white curd kind that gives off a strong retching smell that you can smell miles away. The trail ended at a huge mountain of vomit, a crying child (of about 5 years old), who was carrying a school bag and his mother. The mother was chiding him while knocking on the door of Cherie Hearts Childcare. I was horrified. Yes. Horrified. 1. The child was obviously sick and not feeling well. He should be resting at home. 2. The mother, instead of letting him rest at home, forced him to go to the childcare?! Taking a day off from work to take care of your child, will die meh?! 3. The parent should be considerate as the child had an infectious disease that could spread to other children. Children under 12 years old are still vulnerable. 4. I hope the child care turned the child away and talk some sense into the mother. 宝贝 was recently a victim of gastric flu. She caught the bug from her childcare on the last day of school. The bug has a 4 days incubation period. As you can imagine, our Chinese New Year was spent nursing a sick child who threw up constantly for 12 hours. We tried to quarantine her but the bug was active before the symptoms started to appear. I caught it, so did my mom!! These are commando bugs!! 宝贝 lost almost 2 kgs and flopped around like a rag doll for a few days. She was throwing up even water. It was heart breaking to see a toddler like that. That’s why I was horrified and utterly disgusted with the parent for disregarding her child’s discomfort and putting other children at risk. “Teacher Allen outlined the red flower for me but I coloured it. I did the rest myself!” She confessed. The rest of the lines looked shaky enough to be drawn by her. 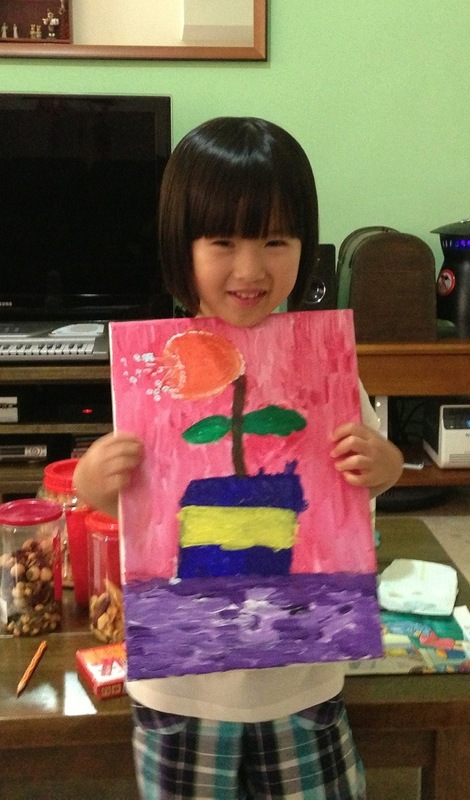 “BUT I chose all the colours myself!” She declared proudly. While 2000-4000 (reported by different sources) protested in the drizzle at Hong Lim against the White Paper, I was snuggling in bed with my littlest one. Getting him to sleep is not easy. He’s wildly alert and loves entertainment ranging from lame jokes, whistling, dancing, by his parents and doting sister. That’s of course, secondary to his primary need for milk (survival instincts). To have him snuggle and cradled in my arm is pure joy. Watching his little eyelids flutter gently as sleep takes over him is a kind of pleasure that is unique. His quiet breathing, shown by his little tummy just compounds it. He will remain little for so short a time. This time I must savour every minute of it as it will never return. To take note of every little joy in life is a new resolution that I’ve made. This includes not taking everything I own for granted, to cherish what I have. The country life I led in Germany years ago opened my eyes to the blue skies, white clouds, green fields, my nose to the fragrance of the fresh air and flowers and my other senses to other aspects of life. But, after coming back to the city, the hustle and bustle of it has made me forget what I’ve learnt to appreciate. Well, it’s not too late to remember. And my little ones’ childhoods will come and go by. I’m Only 3 Years Old! Me : Do you know why you are sick? 宝贝 : yes. Because I played with Amanda (her BFF) in school and she threw up. Me : Next time if you see your friend throw up, should you play with her? 宝贝 ：I didn’t know she’s sick. Me : Well, now you know! So what happens if you play with a sick friend? 宝贝 ： I get sick and I throw up. But I didn’t know! I’m only 3 years old and I’m in n2! Next time when I’m in k1 and k2 I’ll know!! Ok!! Me : Yes! But you are no longer 2 years old and you are a Jie Jie! Waaa. She knows how to use the “I’m only 3 years old!” on me. I must prepare more “ammunition” for rebuttal in future. I must get my last say!!! Opening joke for the snake year. The Hub : Is this the Bedok 24 hour clinic? The Hub : What are your opening hours? Receptionist : (long pause) We are open 24 hours. The Hub : (sheepishly) Thanks. I found a referrer to my blog on my stats list today. Curious, I clicked on the link to check it out. It led me to this blog – House of Moks. Unfortunately the blog has been privatised by the owner. So the link doesn’t work anymore. What a pity! Today I made my maiden trip to the Bedok polyclinic. 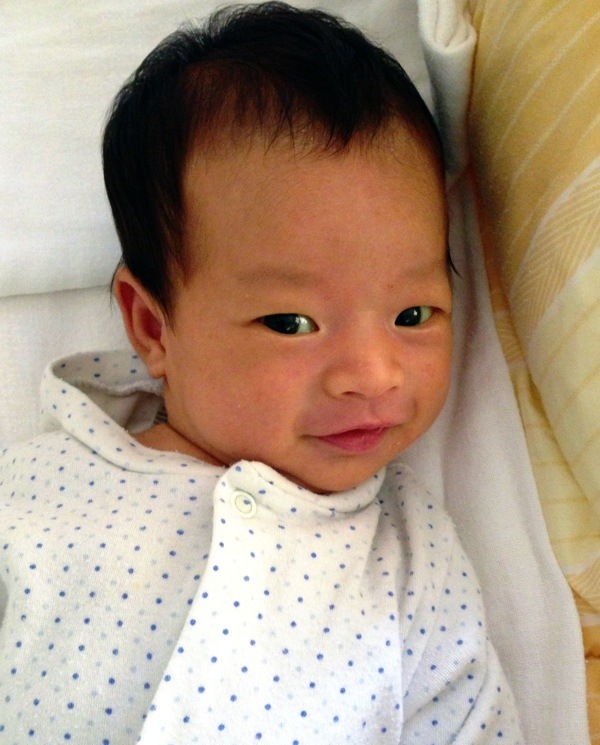 小小宝贝 still has breastmilk jaundice so we need to bring him for a bilirubin test every few days. Usually the hub brings him there with the confinement lady. But she has gone home and so it has to be me. I’ve heard stories on how packed the polyclinic was. Practically packed from wall to wall. This morning it was not as packed as I’ve imagined it to be. The hub defended his story with the “it’s raining” excuse. So yes, instead of 100% packed. It’s 50% packed. Still quite crowded. It’s not the crowd that bothered me. Ok ok, if you’ve been following my blog, you’d know that i hate crowds. But there’s something worse than that!! It’s a room full of sick people who have no civic consciousness to wear face masks to prevent the spread of virus and cough/sneeze without covering their faces. Mega YUCKS!! It’s like a battlefield in there. You have to be on your toes and keep a look out. You need to watch their body language and dodge that dangerous cough or sneeze. If you are not careful you will end up with a full blast in your face!! Eeks! Especially for me as I was carrying a vulnerable 1 month old!! In the end I kept him covered under my breastfeeding shawl. Hopefully it’d block the bugs. The only time face masks flew off the shelves of the pharmacies was during the SARS period. Everyone was wearing a mask and giving the “evil eye” to the person who coughed or sneezed without wearing one. As time went by, the forgetful humans quickly forget how SARS was spread. And soon fell back to our laid back and unhygienic ways. We have yet to develop a civil culture like the Japanese or the Taiwanese who put on face masks when they are ill to prevent the spread of disease to others. Singapore, a very densely populated city, should all the more practise this. It will be unthinkable if there’s an outbreak in Singapore. This is a habit that should be cultivated from young. Schools should inculcate this behavior in our youngsters so that it becomes a part of our lives. Anyone who is recovering from an illness should wear a mask to school. For hot spots like clinics and hospitals, MOH (Ministry of Health) should make it mandatory for every sick person to don the mask at the entrance. While I was at the polyclinic, the scene from the movie “Ebola Syndrome” (a 1996 “horror” movie starring Anthony Wong) kept replaying in my mind. The Ebola carrier coughed/sneezed (I can’t remember) without covering his mouth and the virus was transmitted to everyone around him. As you can imagine, I was cringing every time a person coughed or sneezed freely around him. Eeewww! I had to find the most isolated corner (really a feat in a crowded room) with my back to the wall, in an ever ready battle stance. The ordeal was finally over in 2 hours. Phew! Adding an afterthought, since everyone is so uncivilized, the only other way would be to wear a face mask to prevent yourself from being infected.